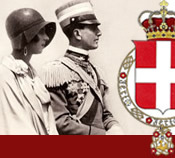 The Foundation Humbert II and Marie-José of Savoy was created in 1986 by H.R.H. Princess Marie-Gabrielle of Savoy. It aims to preserve the collections of books, paintings, miniatures, drawings, prints and photographs regarding the history of the House of Savoy, gathered by his Majesty the King Humbert II. It is the wish of the Foundation to honour the memory of the last king of Italy and set up this project that was most essential to him. The foundation keeps enhancing and completing these collections which are to be used as a historical centre of the Savoy dynasty and the Royal House of Italy. The Foundation is available to researchers, museums, all who are interested in the history of the House of Savoy, itself linked to the history of Europe.